Some auto mechanics can make more than $75,000 a year and pile up a bunch of poorly done jobs in the process. The top guns of these mechanics might apply a technique known as the stick and move. This is how it works. They complete as many Flat Rate jobs as they can sacrificing quality for quantity for as long as they are able to do so. This is the stick part. Then what happens is they reach the saturation point where their comebacks and complaints are so numerous that it stops them from getting fresh jobs to pull down the big bucks. This is when they move, to greener pastures. First they stick the shop owner and customers and then move to another shop and do it again. I have worked with guys that made a science out of the stick and move. You would think car mechanics like this would run out of places to work in their area but its not true. Unfortunately, the fact is that the retail service repair business has so much turn over at all levels, from management down to the oil changers, that all is forgotten in just a couple of years. They can’t remember who did what to whom or why. They only remember, that they made a lot of money when that mechanic was working here. I know a few mechanics that like to return to the crime scene and wind up working for the same place they pulled the stick and move on just a few years back. Now once again I ask you not to lose hope and faith in finding good automotive mechanics and reliable repair centers. The bad apples are out numbered by the good people in this business. I’m a good honest mechanic and I have worked with plenty of other skilled trustworthy people that really love cars of all shapes and sizes. Local car shows are a great place to find leads on skilled mechanics. Show car owners can farm out a lot of repair work and often have the inside scoop on the local technicians and are happy to provide recommendations of their favorites. Getting back to the story, if we sat down you and I with the crooked auto repair shop owners along with the questionable mechanics, this is what they would say in their defense. The owner would say, but I have overhead. He’s right about that for sure. The shop owner pays for the building, advertising and equipment also all the bills associated with that stuff. My answer to this is so does a Doctor. He pays for an office, x-ray equipment and medical supplies and the list goes on and on. A Doctor doesn’t tell their patients they have cancer when they don’t, just to pay the bills. The auto service mechanics will say, I have to pay for tools and the job is hard work. I agree with him, but you don’t replace unneeded parts and recommend bogus auto service like a power steering flush just to recover your investment in some tools. The retail repair center could very well hold the potential money to be made above all other aspects of the business. This includes customer satisfaction. Unfortunately, another casualty could be employee health, safety and general well-being of employees. The shops tendency to lean toward greed can also give us an advantage during negotiations in their attempt to secure our long-term business. Most shops look at your vehicle as worth x amount of dollars in service sales over its lifetime. The more miles on the vehicle the greater the potential for large expensive repairs. The older the vehicle and the more miles on it, the better for the shop. This is more true today than ever before. In a bad economy a big purchase can be beyond the average persons reach. Back in the 70’s a vehicles life span was considered to be around 7 years and 100,000 miles. Today a vehicles life span has been upped to over 15 years 175,000 miles. A vehicle near the end of its life cycle can be very costly to maintain. Factory original parts start failing at an accelerated rate. It’s also common place now a days to try and exceed the vehicles life expectancy. This is possible, but can get expensive. I’ve spun off a separate website called Fix My Old Ride to help people fix up these old cars. Nevertheless, auto service mechanics and shop owners have a nickname for a vehicle near the end of their life cycle. The term is called a gravy boat. Which is an all you can eat buffet for the mechanic and shop owner. When a vehicle is old and has high miles everywhere you look you can find repairs to recommend to the vehicle owner. In most cases the owner will justify the increased repair costs by saying well I can repair this old car for a thousand dollars but I can’t buy a new car for that. This kind of thought process is a slippery slope. The automobile is most likely on the road to nickel and dime you to death. Lets for example say you go whole hog and replace the engine for the cost of about $4,500 dollars parts and labor. However, old parts still surround the new engine. Transmission, suspension, brake components, steering, heating and air conditioning systems can continue to provide high repair costs even though you just installed a new engine. Replacing the motor can often be the start of a rewarding relationship for service centers. Make sure you think it through before approving that high dollar repair on that older vehicle. Sometimes an unbiased third party opinion can help you step back and make an informed decision instead of making an emotional decision. People become very attached to their automobiles and they feel like family members in many ways. The auto repair shop counts on this and uses it against you when they negotiate. The shop is not beyond saying the car is worth putting the money into, even if its not. If the vehicle is going to nickel and dime you the auto service shop gets all that money over the following months and years. If you get a newer car he stands to loose money by not seeing you as often. 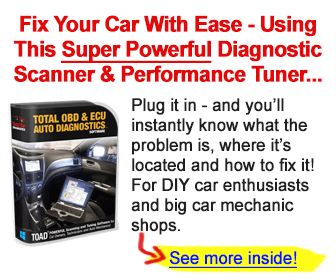 Bookmark or share this page about auto mechanics and repair shops. Learn about the most common rip-offs and how the shop pulls it off with my auto repair service scam stories.